Arik, Nyle and I were having a beer at an outside bar in Minglanilla, Cebu. We had delivered some hand-carved hardwood bookshelves to a well-to-do foreigner in a subdivision nearby. Arik was a furniture maker by trade, and his work sold fairly successfully around the area. He primarily got his customers by word-of-mouth, and thru some Filipino photo catalog exchange that always kept him making something. His workspace was a simple corner in his apartment in Lahug, Cebu City. Ylime was his secretary, housekeeper, cook, and helper. She kept track of Arik’s orders. We had used my zebra multi-cab to deliver the merchandise. Nile would always drive. I appreciated these trips because they always seemed to be an adventure. The sun was going down and the ocean could be seen as we sipped our San Miguel’s. There had been a local festival here as evidenced by the street ornamentation, busy street food and BBQ stands, and a crowd of nicely dressed Filipinos with their children. Arik had told me it was some Saint’s day for an annual barangay fiesta. We heard a loud group of Filipino males at a table near us. It seemed ok until a woman complained of being accosted or assaulted by one, of the by that time, very drunk Filipino youths. The lady was screaming something in Cebuano at one particularly beefy and virile fellow. Also, she had been pointing toward her wrist, while yelling at the drunk. Then she curtly walked away. Nyle got up gently and asked the lady if she was ok, and asked about her wrist. After a brief exam Nyle performed on her wrist, he then returned to our table. A moment later, the lady came back to our table and asked if she could talk to Nyle alone. He agreed and all four of us were sitting together while Nyle talked to the Filipina. Noticing Nyle and the Filipina were talking in Cebuano, a language which I didn’t understand, and had no time to learn. But, I had a golden opportunity to ask Arik about a subject on my mind for quite some time. How to become INVISIBLE. He had been bringing this up a lot in our talks, but I wanted for him to give me a precise explanation. I knew those things were paramount principles in Arik’s teaching. I practiced them as best as I could but wanted to see more rapid results. But, I could feel the trueness of them, like a magical secret light shining on my psychology. Arik went on, “A man feels satisfaction when he is senses he’s doing something truly right for himself- but what is right? This learning takes patience. It’s not just trial and error- it’s being given workable principles. “Like glue, a man attaches so much junk to himself, and it builds up his false person, who he thinks is ‘him’. At ages 2-3, a man’s hostility and confusion started, because of human ignorance passed on thru the ages. He’s padded their pain with false pleasures and distracted himself with endless thrills. It’s really not our fault at 2-3 to be given this sickness, but the point is to get well. Unfortunately, people do not want to get well. Mostly because they don’t even know they are sick. “Invisibility and transparency is when you unloose. But, to unloose is difficult when the false person tricks you into believing you are him. These lies can get very hardened in a man, where he may be hardened all his life and never see his way free. In our school, we were taught how to lose and remake. “When you finally get a taste of disappearing, the blood of Life finally gets a chance to circulate within you. And, this feeling is unmistakable because you really coming to Life for the first time! As a boy, that is what our teachers taught us to do. And when that happens you really want more of it. “Men instead of seeking value – seek to make themselves valuable. There’s really no person there to make personally valuable. There’s no ‘table’ to put anything on; no basket to fill. The job is to squeeze out the false identity we cling to- so to be 100% spiritual while in this body- is to be invisible. To be transparent. You will know this without a doubt when it happens. And, you can ask yourself and see thru others, and help others. “We’ve talked about this many times. Mankind is engaged in a secret and tragic love affair with the false person. It does not like you! The whole opposition is created in our own minds by the false person. It uses our imagination like a parasite. The sheer weight of Arik’s teachings required me to review and re-ask the same questions of him multiple times. Fortunately, Arik let me review my writings with him. I memorized as best I could what he was saying and wrote down our sessions immediately afterward. He didn’t like me writing while he was talking, but was very gracious about correcting my memory when I reread the material to him later. While pondering Arik’s narrative, I looked over to Nyle and the lady. Then the injured Filipina arose, thanked Nyle, and was off into the night. Suddenly, the beefy, virile drunk came barreling at our table with a liter brown beer bottle clutched as a club! He was screaming something in Filipino. I saw the drunken rage in his flushed rosy face. I felt Arik immediately pull me out of my seat with his hand on the back collar of my shirt. As I was being pulled backward by Arik into the trees, I noted that the drunk was actually after Nyle. Nyle, by that time, was standing upright and the drunk smashed the bottle on our table. Crash! Then he was holding the neck of the broken bottle as a weapon. He was heading towards Nyle with the shaped glass. Like a flash, I saw Arik come around the side of the drunk grabbing his wrist and pushing his hand down with snapping high speed. I heard the glass neck hit the brick floor. Arik’s other hand had grabbed and whipped the drunks elbow, and suddenly the drunk was sitting on the brick floor, after displacing chairs in a shattering collapse. Instantly, Arik grabbed Nyle’s arm and briskly walked towards me, hustling us both towards my multi-cab. It happened so fast. Safely away now I noticed Nyle was visibly shaken, but I noticed Arik seemed relaxed as always. That comparison I’ll never forget- because I was more shaken than Arik and I didn’t do a thing except for watch this melee’. After we were safely on the road back to Cebu City, I sat up front in my multi-cab with Nile driving. Arik was in his preferable place kicking back on the passenger seats in the back of the cab. I asked, “Dam, Nyle! How did Arik handle that drunk so skillfully… and, his moves, were so fast and coordinated! Nyle said, “Oh, didn’t you know? Arik is a master of the Filipino martial arts called “Arnis de Mano”. Wow, I said. I sincerely was surprised, because I didn’t know that. Ylime was Arik’s longtime student who assisted ‘special Filipinas’. I was dying to know how Ylime would intervene. 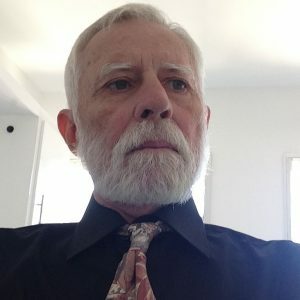 I’m a retired psychologist and college professor. I moved here because of the incredible sweetness of essence I noticed in my Filipino students. 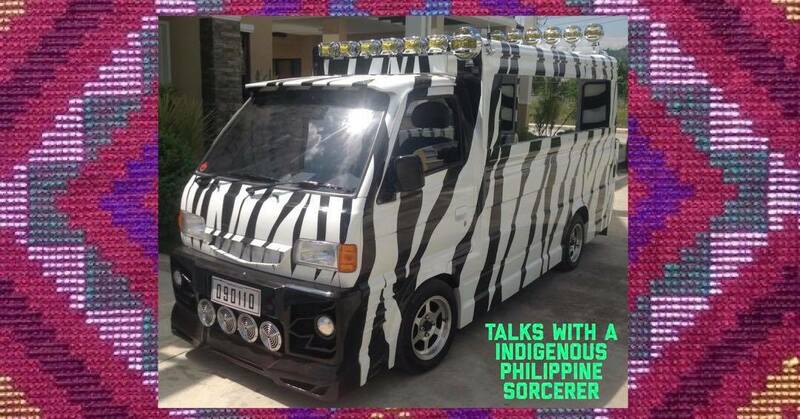 While retired, I’ve been talking to and chronicling an indigenous Philippine sorcerer. We had been excellent friends for almost 7 years. Now, he has since left Cebu City for Mindanao as of August 2017, and I miss him. But, I’m hopeful he’ll return. I have many notebooks full of his material, a vast teaching, and I’m trying to connect it all accurately in accordance to what he meant to say. He spoke good English but took a long time for me to understand his terminology in relation to his spirituality. His name is Arik (pronounced Aur-rik) from the Manobo tribe of Mindanao. I met him here in Cebu City, Philippines. We had been meeting 3 or 4 times a week at our houses and restaurants, parks, and beaches. He has profound insights into people as a result of his tribal and spiritual school’s teachings and traditions. His insight into human psychology was totally new to me in its revelations and mind-blowing -miraculous to me in its depth and weight. I thought I’d humbly share it with all of you. Arik asked me publish his teachings so it will be a book soon. That night blew my mind. I had no idea about Arik’s training in that regard. It was obvious that Arik simply came to Nyle’s aid, and we got the hell out of there. Not to harm. Like I said, Arik gave Nyle hell for his hubris and demonstrative behavior with that lady that night.